Kennel cough in dogs: what is it and how is the cough (video). Kennel cough or Infectious tracheobronchitis. Kennel cough is an infectious tracheobronchitis that can be as short and mild as to no needing treatment, or it can progress to life-threatening pneumonia depending on which microorganisms are involved and the immune system of the dog. A mild kennel cough lasts 1-2 weeks and in this case, the dog cough is frequent but its general health is good; the dog is active, happy and appetite is normal. There is no fever, just a lot of coughing episodes. In a young dog, a stressed dog or a debilitated dog it can progress to pneumonia and become dangerous. The most frequent association of microorganisms producing kennel cough is the couple Parainfluenza virus or Canine Adenovirus type 2 with Bordetella bronchiseptica. ¿What is the particular sound of Kennel Cough? Now you can watch a video from a dog consulting at our practice and diagnosed with kennel cough. Frequently, when the animal stops coughing, it spits out . When this happens, it allows to recognize the disease. Generally, the kennel cough sound is different from the sound made by a dog with cardiac insufficiency due to mitral valve disease, the most common cardiac disease in dogs. You can compare these 2 types of cough by watching the 2nd video now. 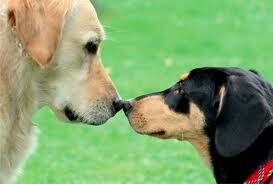 In a dog with cough, poor appetite, fever and/or depressed, it is necessary to rule out or confirm pneumonia. ¿How does Kennel cough infection start? An infected dog sheds bacteriae or virus through its respiratory secretions. 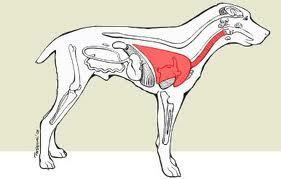 These secretions become very small particles floating in the air that are inhaled by a healthy dog. These secretions can also fall on objects like dishes, toys … that are later chewed or by dogs, allowing thus disease transmission. It is well known that stress, smoke snuff , cold temperature and poor ventilation are contributing factors to respiratory infections as they act limiting ciliary movements in the respiratory tract. Bordetella bronchiseptica is a microorganism that can adhere to these cilia and paralize them for hours; furthermore, Bordetella makes substances that can inactivate the immune system cells that normally destroy bacteriae. In this situation, detritus and microorganisms can invade the respiratory tract and induce pneumonia. ¿Where do dogs get Kennel cough microorganisms? The incubation period lasts for 2-14 days. 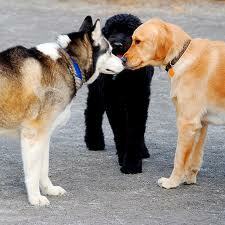 Dogs are sick for 1-2 weeks and later they shed Bordetella bronchiseptica for 2-3 months (risk period for other dogs). ¿How is Kennel cough diagnosed? The association of typical cough and good health status (at least initially) with the fact that the dog has spent some time in a dog “community” makes this disease very probable as the cough reason. Should general health status become worse, pneumonia is probable and a thoracic radiograph is mandatory to check for this lung disease. It is possible to perform DNA tests in order to detect respiratory infectious agents in specialized laboratories. 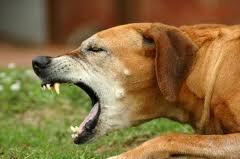 ¿Which treatment can be successful against Kennel Cough? Usually, administering antibiotics that destroy Bordetella bronchiseptica is useful. Conversely, antitussives are usually useless but they are routinely administered as well. Prevention by vaccines against Kennel Cough. It is possible to prevent infection from some microorganisms causing this disease : Kennel Cough vaccine protects against Bordetella bronchiseptica, Canine Adenovirus type 2 and Canine Parainfluenza virus, the main causative agents of the the disease. Currently used vaccines already protect against Canine Adenovirus type 2 and Canine Parainfluenza virus. Prevention against Bordetella bronchiseptica can be administered by means of 2 ways: intranasal and injectable vaccines. There is some controversy regarding which one is the most effective. 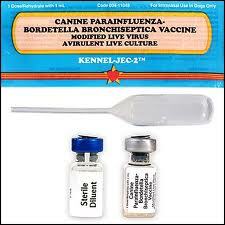 This vaccine can be administered starting at 3 weeks (thus useful for breeders, petshops) and protection lasts 1 year. Its main advantage is that it stimulates the immune system at the entry point of the disease (the respiratory tract) in a quicker way as compared to the injectable vaccinoe. It takes 4 days to protect the dog, and some dogs sneeze or have nasal snot for 1 week after its administration. 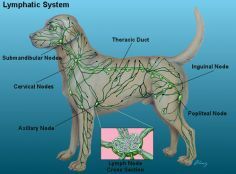 This vaccine is useful in dogs that do not accept intranasal manipulation. If used in a puppy, 2 injections 1 month apart are needed to achieve a complete protection. 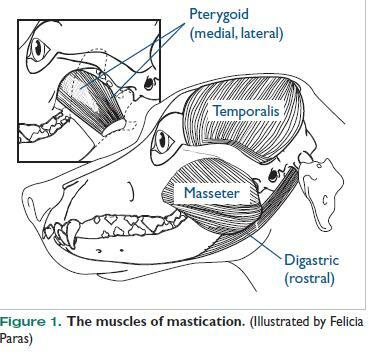 Moreover, the dog must be at least 4 months old when starting the injections. ¿Should I vaccine my dog? Vaccinating against Kennel Cough is recommended depending on the lifestyle of your dog: if transmission is probable, as when the dog spends some time in a boarding kennel, or your dog plays in a park with many dogs. Should you take your dog to a boarding kennel, vaccine must be administered at least 5 days before leaving the dog in that boarding kennel. Sometimes, vaccinated animals developp a mild form of the disease, without severe symptoms. 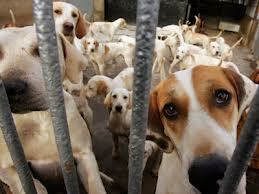 ¿What can I do if my dog´s disease worsens? Dogs suffering Kennel Cough should recover, at least partially, in about a week. 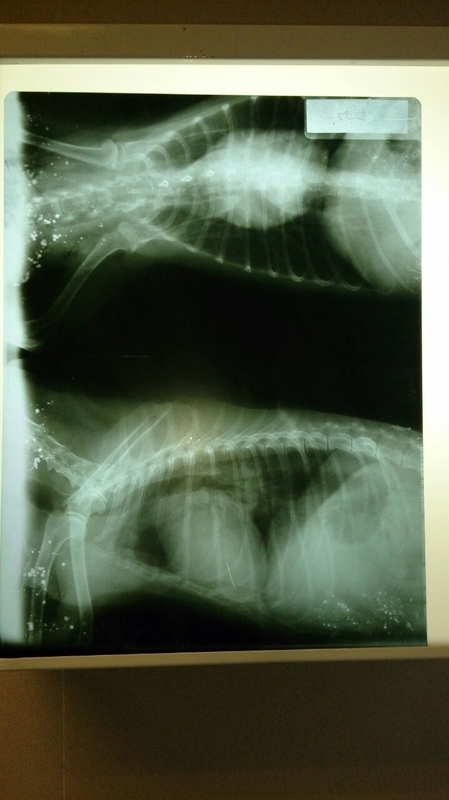 If not, it is necessary to rule-out or confirm pneumonia by making a thoracic radiograph. If pneumonia is shown by X-rays, the most effective treatment, aside from antibiotic, is intravenous fluid administration. Fluid therapy thins resiratory secretions and enhances their elimination by the ciliary apparatus of the respiratory tract. 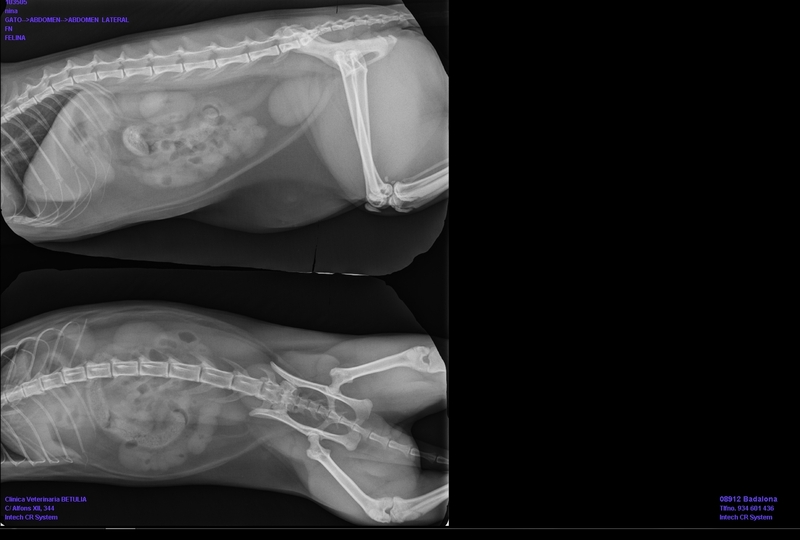 In our practice, we have seen dogs that did not respond to antibiotics responding satisfactorily a few hours after administering intravenous fluids. 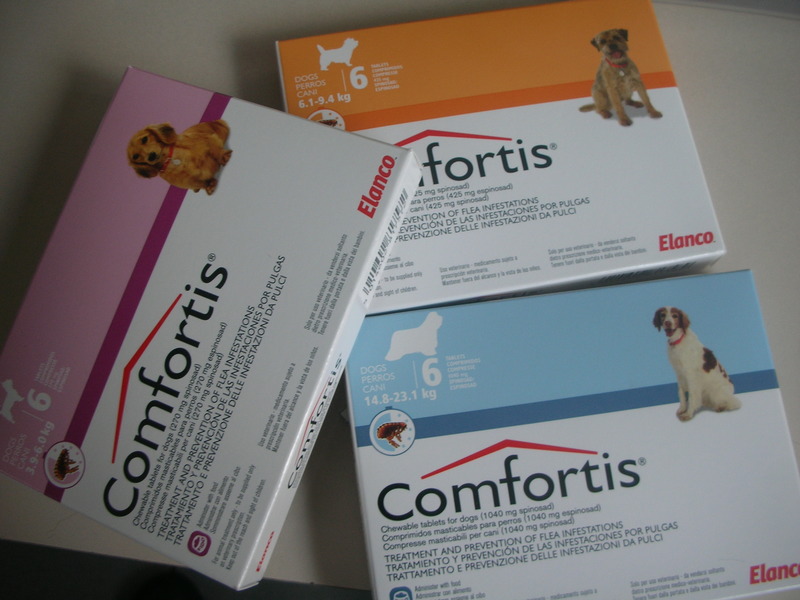 Reapiratory mucus fluidizers , very popular in human medicine, do not bring good results in dogs…. and if we use only antitussives we have to add later antibiotics. My take-home message is: try to identify the typical Kennel Cough, and vaccine your dog against Bordetella bronchiseptica if he plays in a park with many dogs (a community) or you take him to boarding.